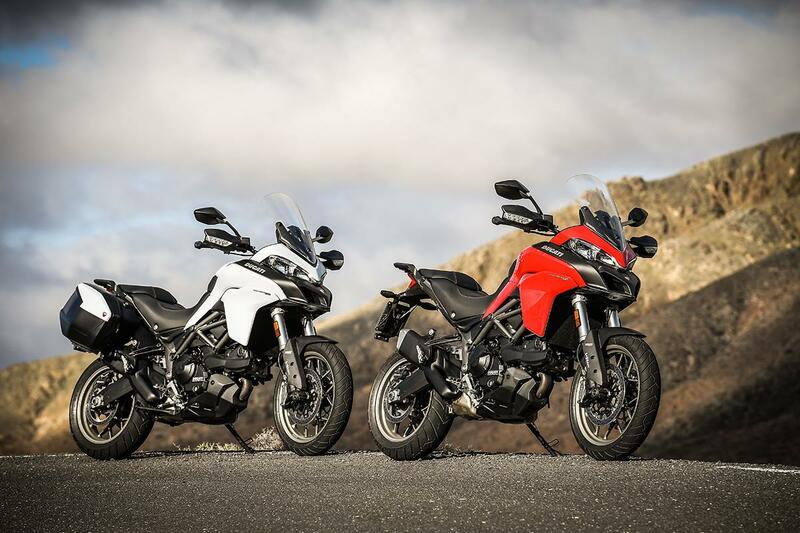 At a competitive £10995, the entry level Multistrada is essentially very similar to the highly acclaimed 1200, but with a slightly lower spec and smaller engine. 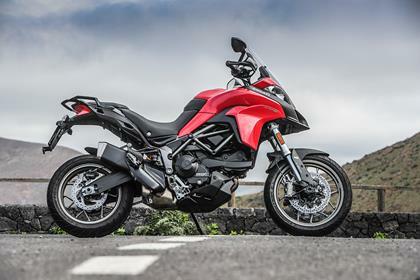 Take all the comfort and qualities of the 1200, reduce the level of gadgetry a little and add the 937 Hyperpermotard derived engine, and you’re on to a winner; a less intimating, easier to manage alternative to the pricey 1200 Mulstistrada. The fully-adjustable suspension with a side mounted rear shock is obviously unique to the 950, with the showroom settings being on the comfort/soft side. 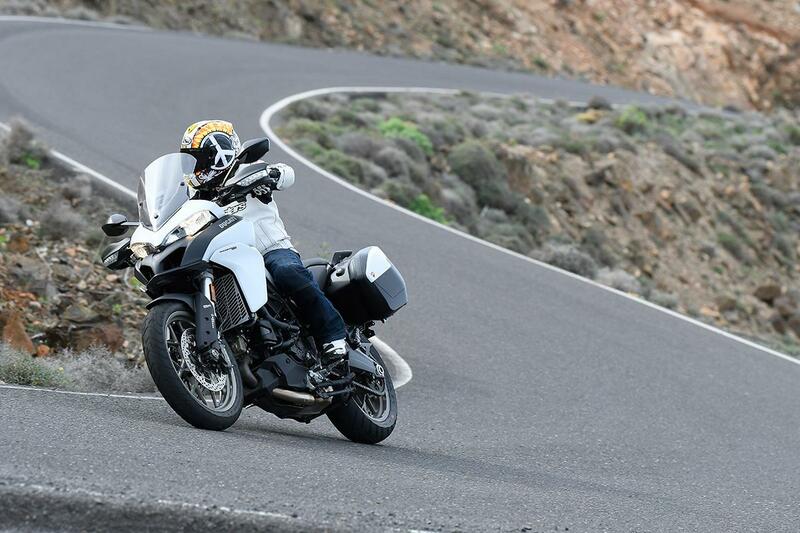 The fully-adjustable suspension has excellent ride qualities; it’s easy to adjust the remote preload if you choose to add luggage or a pillion. But when you want to have some fun it lacks the support of the 1200. The front end dives too quickly in the first quarter of the stroke. However overall impressive, just don’t expect the same level of performance as the 1200. The 937 Hypermotard derived engine produces a quoted 113bhp @9000rpm and 71ftlb of torque at @7,750rpm. The Testastretta engine is essentially the same as the Hypermotard but with different intake, airbox, fuelling and exhaust. The new 950 motor is smooth, effortless, and perfectly fuelled at slow speed, but it’s not thrilling. Even in sports mode it lacks any real get up and go. It’s more than sufficient for fast overtakes and high speed touring, even two up fully loaded, but I just wanted a bit more excitement. Ducati are synonymous with power, racing and speed, and the 950 lacks a little for the prestigious badge it proudly wears. The level of finish is high as are the quality of components, like Brembo controlling the braking in partnership with Bosch. Reliability shouldn’t be an issue and class-leading service intervals are huge; every 9000 miles. The 950 comes in at £2700 less than the base Multistrada and £5700 under the sporty 1200S, which is a huge saving considering they share so many similarities. Considering the relatively low asking price of just below £11,000 the spec sheet is impressive. 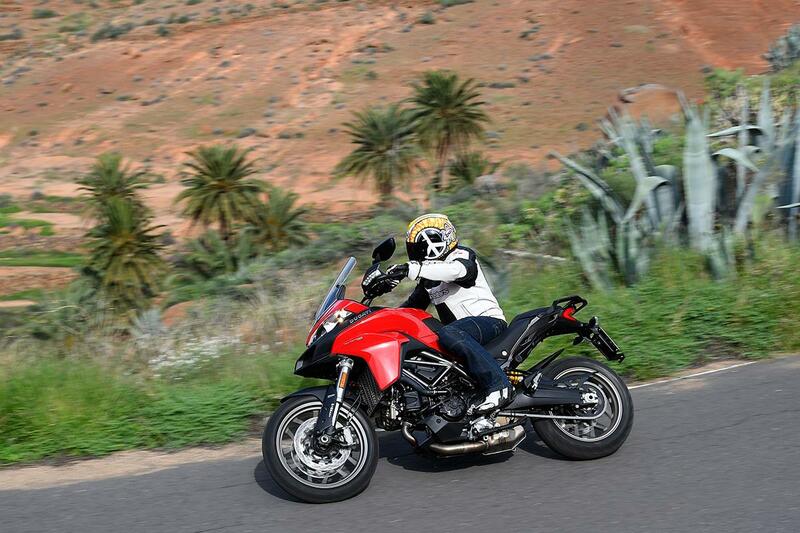 The clocks are related to the 1200, just a slightly lower spec and the same switch-gear as the new Monster 1200. There are four rider modes; Sports, Touring, Urban and Enduro which automatically change the power and engine characteristics along with the ABS and traction control. Ducati have kept their unique Ducati Safety Pack which includes three-way ABS and eight-way traction control. There’s fully adjustable suspension front and rear, a manually adjustable screen and impressive Brembo stoppers at both ends. 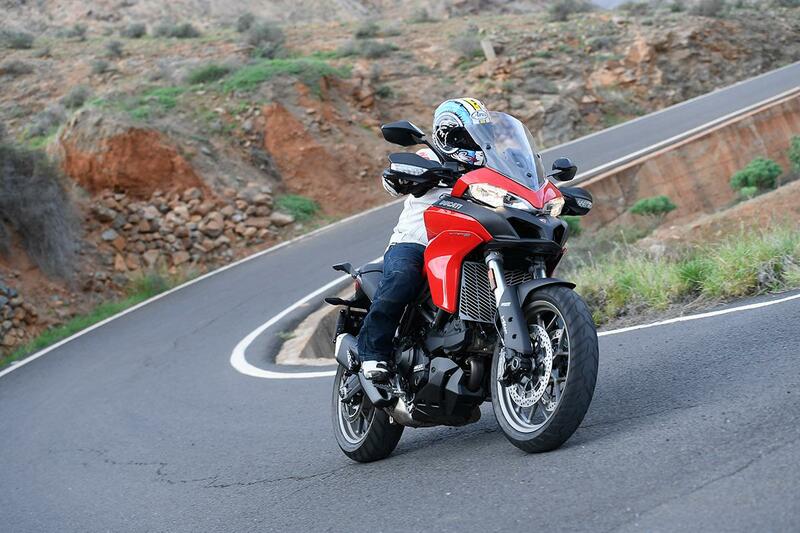 2 owners have reviewed their DUCATI MULTISTRADA 950 (2017-on) and rated it in a number of areas. Read what they have to say and what they like and dislike about the bike below. So far excelent but still running in. 9000 miles between services and 18000 miles for valves and belts. Not mega powerfull so tyres should last OK.
Nice and easy. Had to pay full list price as new model but got fair trade in. I've had an MT-10 (too small a tank and too license threatening) MT-09 Tracer very good but gets a bit ragged when pushing on. 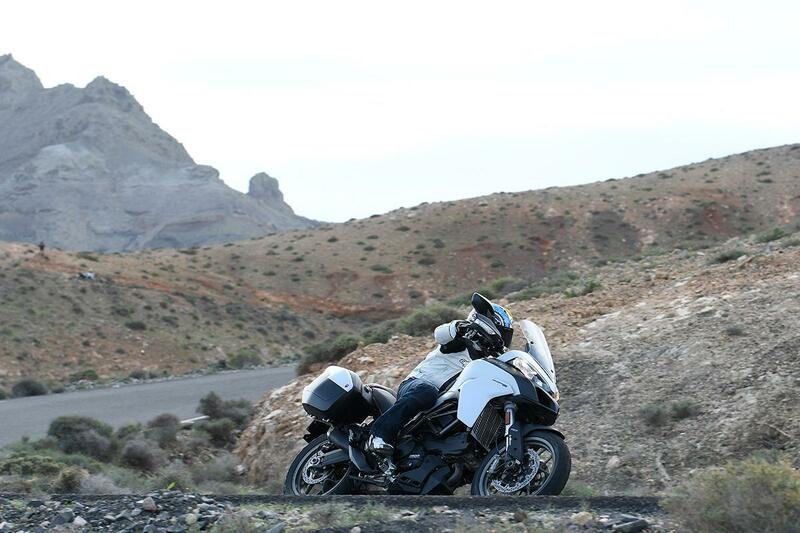 Tiger 800 XCA too bland didn't like the handling Explorer XRt - way too heavy and too many gadgets. Been looking for an all rounder - Fingers crossed I think I've found it. Still running in but very impressed so far. Not run in but can feel it's going to be fine. Not a "sports" engine but plenty of torque for everyday roads. Only done 200 miles so can only rate on quality of build.